My practice research concentrates on the application, modification and impact of somatically-inspired practices into theatre-performing environments and beyond. I particularly introduce new praxical discussions on somatics and theatre as well as somatics and voice studies. My work concentrates on the support of one’s critical and embodied awareness, integrated creativity and expression. I work on the dynamic dialogue between relational practical explorations and the development of flexible experiential languages in training, performance and research contexts. I am interested in how contemporary somatic practices can inform the current revision of theatre training-performance discourses, creative-research methodologies and theatre forms. This practice-as-research thesis documents a sustained period of research grounded in my experience as an actress who has become an actor-trainer within UK-based actor-training institutions. It explores the development of an original somatic actor-training methodology within different theatre teaching and performing environments. This research concentrates on challenging dualistic binaries of mind-body, inner-outer, self-other and the universalizing of the individual actor’s experience as problematic logocentrism in Stanislavski-inspired actor-training traditions. It is informed in practice by Linda Hartley’s IBMT (Integrative Bodywork and Movement Therapy) somatic approach, which is based upon Bonnie Bainbridge Cohen’s Body-Mind Centering® (BMC®) principles. I suggest the practical modification of Cohen’s developmental process of embodiment in the actor-training context through the shaping of contingent, processual and intersubjective/intercorporeal explorations which I coin as fluid structures. Rooted in the interconnection of theory and practice, or praxis, this thesis is based upon the original notion of each actor's embodied logos. This term is inspired by Merleau-Ponty’s theoretical understanding of logos as flesh that allows the perception of logos as an embodied and intersubjective experience. 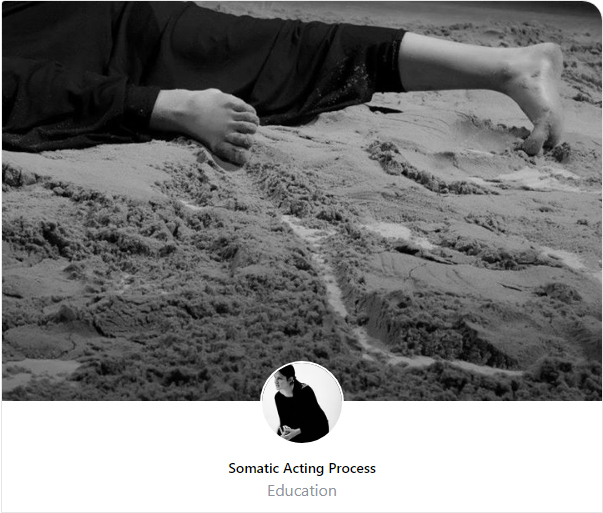 An emergent new somatic actor-training pedagogy contributes to contemporary actor-training practices and languages revisiting the dialogue between the actor and the trainer through the innovative intersubjective role of the trainer-witness and the relationally aware actor-mover/actor-witness. Following this processual study I articulate and respond to thorny ethical issues in actor training regarding emergent dissonances between therapy and training, training and rehearsal/performance processes, the trainer and the director, the edges of actors’ emotional expression and sense of freedom.